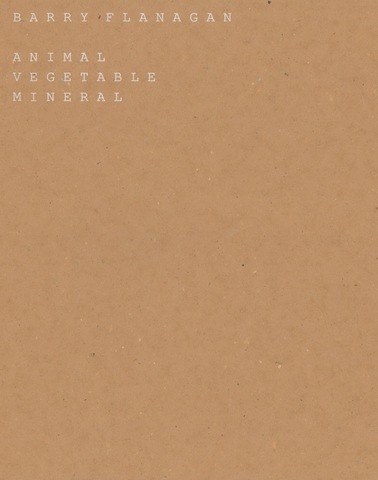 The publication accompanies the exhibition Barry Flanagan: Animal, Vegetable, Mineral and includes an interview with Bruce McLean conducted by Jo Melvin on 20 January 2016. The interview covers the central role played by Flanagan in the formation of new approaches to the criticality of sculpture and conceptual art. It includes photographic documentation published for the first time and of archival material as well as photographs of most of the work included in the exhibition.